Tarun Gupta June 28th, 2013 Search Engine Optimization no comments. I do believe that most of the online businesses trust on long term marketing strategies such as seo services to explore their presence and lift their exposure quotient. To bring about the task to a great execution they hire dedicated SEO consultants or agencies working successfully in the domain. But do you feel that hiring a consultant giving handsome bucks is remedy of every illness? I say no. It is very important to analyze and evaluate their worth and experience. I have decided to bring in the major attributes of an SEO consultant you should look for along with the questionnaire you should ask them. You are going to hand over your website to a person you don't know well. So, it won't be a wise decision for faith blindly in the profile and portfolio he has submitted in support of his experience. You may have a number of questions to ask him and check that whether or not he will be able to proceed your business on the track you want. In an era when Google has made the things tough by introducing Google Panda and Penguin updates to curb unethical SEO practices, I won't believe that a consultant quotes him unfamiliar or having the basic knowledge of the updates. These two algorithm updates have become the key players behind every individual search engine optimization process. We will discuss the nature and behavior of these updates other day. Make these updates an inevitable turf for the selection. A Good consultant must have the comprehensive knowledge and details about these updates. He should have an ability to find the right cause behind the penalty and must have an aptitude to tackle the issues as per Google standards. If he comes right on these expectations, give him a green signal else go through another profile. By listing the qualities I don't suggest that a single person should handle all the activities crudely. What I believe is that a consultant should have an idea about this stuff so that he can extend the helping hand whenever asked from his team. Post-panda, it has become more evident to establish an authority on the topic. An SEO consultant or an SEO agency whichever you prefer can't do this without having a core team of SEO content writing experts, bloggers, content analysts and other content producers. SEO is living in the tough times with Panda and for a long term strategy, quality content is the backbone. Trust only on those content producers who can develop high quality and relevant content consistently. A good consultant has a team of writers who write equally well on below listed strategies. 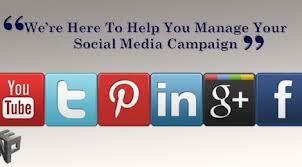 For an SEO, command over the facets of social media is equally important. Being an SEO expert a consultant can't underestimate the valid importance of Social Media Marketing. Social media directly impacts the ranking and exposure and helps a ton in relationship building measures. It also plays a crucial role in link building as well. A professional optimizer or consultant must understand some of the basic social media aspects to do well with the campaign.A consultant should emphasize on building influential bond with social media to invent more authentic and valuable content via social media. Having massive reach of primary social networks such as Facebook, Twitter, Linkedin and MySpace is very mandatory for a consultant as it extends an opportunity to build community, groups and networks of like minded people and professionals. If a consultant doesn't use enough tools throughout the campaign and perform things manually, it can create a big hole in your pocket. You may ask him the number and type of tools he is using throughout the campaign. Make sure that he is not using these tools for building automated links, producing automated content and creating social media campaigns. Rather, he can use tools like Google Analytics to track results and ROI, tools to measure the increasing competition, tools to discover the audience need and tools to explore influences, targets, etc.